SIZES Native & XL are very similar only Native has a slightly shorter neck, more of a difference between sizes is noticed on the full body sets due to the back length. However popular size choices for Native owners is XL, due to the moulded stretch fabric either of these 2 sizes within the rug size bracket should accommodate a Natives depth. This product consists of 12 Colour Collections which have become famous in their own right. All our regular hoods are designed to be super lightweight and mixed with a polyester base to give the ultimate durability, shine and texture to the coat and overall 'show finish'. The list of uses for our Horzehoods is endless with customers noting amazing results to the mane and coat in just one nights use making them perfect for any competition discipline, they hold plaits in beautifully so you can get that extra hour in bed in the morning by plaiting and prepping the night before. 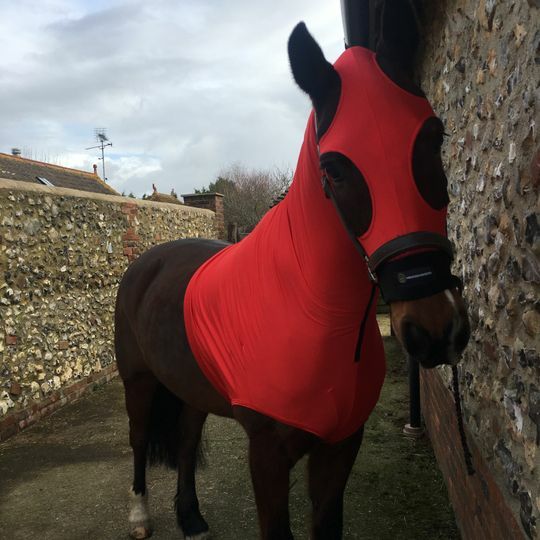 Horzehoods have also been chosen and used with great success by owners who have ponies and horses which suffer from medical conditions such as sweet itch. 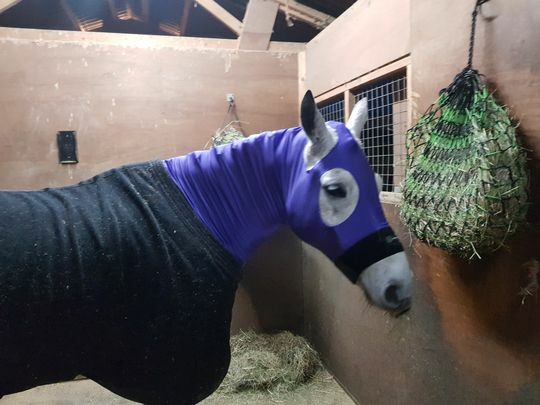 Our unique design and fit makes them so popular in today's industry and are a number one choice for professional and amateur riders worldwide. We have several different fabrics we make our hoods from to be able to tailor all customers needs. This product is perfect for all seasons due to not being a thick grade and has a mix of specially manufactured fabric chosen and tested by our team. Made to be super lightweight. After years of testing we have found the most effective fabrics on manes and coats are those that consist of light fine weight blends, heavier grams of fabric cost no extra to make, however it is not as effective for keeping the mane and coat the best it possibly can, by using this super light fabric blend you will notice an instant transformation in the horses coat. Heavier fabrics can be more durable to snags and rips but give a chance of causing chaffing and rubs, overheating, itching, therefore the team decided the priority was the functionality.The seam and stitch work on this fabric is the superbly manufactured. Love this hood, colours are great, and Woody even loves it! We bought this in the sale and as they had sold out of the navy Prince, they contacted us asking which other colour we’d like instead and also gave us a free tail bag to match for the inconvenience. 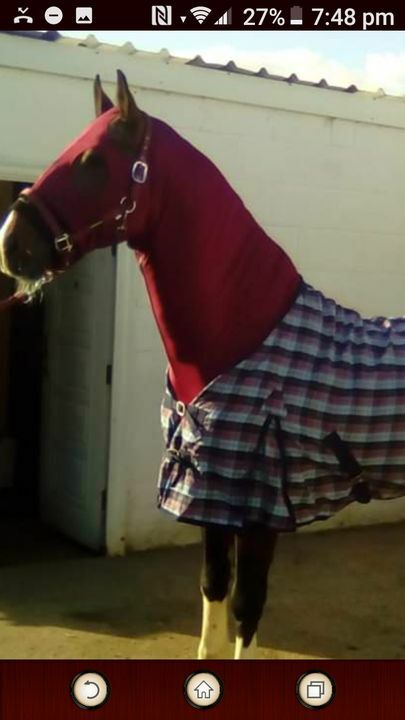 A great product, easy to fit and our horse wears his every night! A good company to deal with and a fast service.